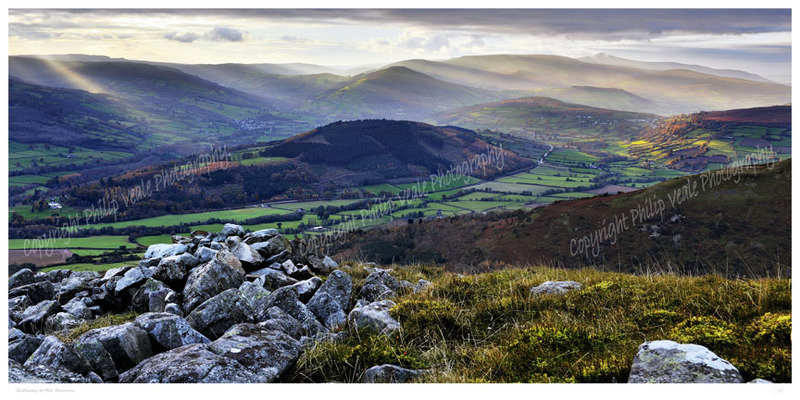 Philip Veale Photography: Gateway to the Beacons. The setting sun of late autumn send rays of light across the mountains of the Brecon Beacons National Park. Print only. Size including border 24" x 12"